Please note, we do not possess ANY Musselman or J.C. Higgins parts for sale, please don't ask! Musselman was for many years one of the top brands of coaster brake. Musselman and J.C. Higgins models use a split sleeve type brake shoe. 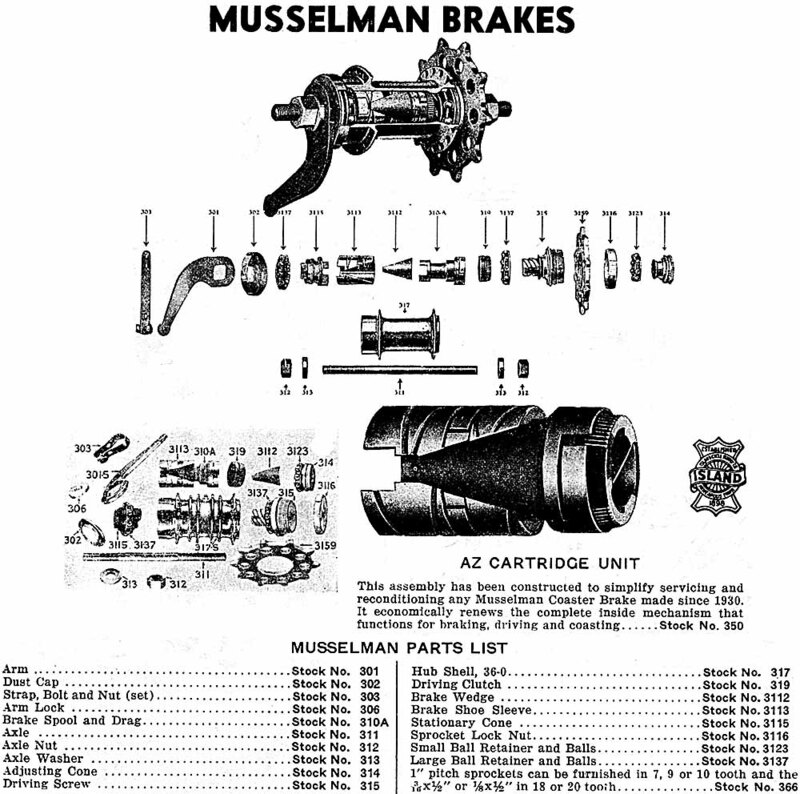 Flickr album of Musselman coaster-brake service instructions. Here is an image from the 1938 Island Cycle catalogue. The image below was from a leaflet my uncle gave me. J.C. Higgins was a Sears-Roebuck house brand. The J.C. Higgins appears to be a re-badged Musselman.